The team members have come up with a couple of puzzles inspired by the recent Olympic Games. 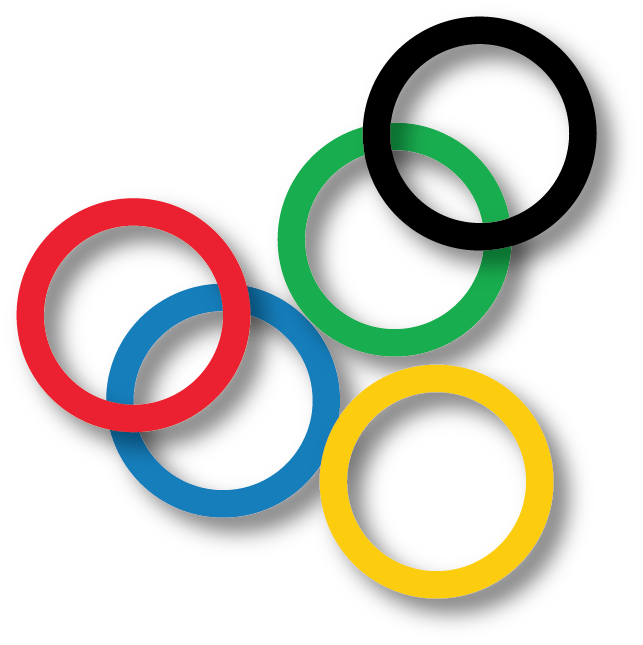 One team member notices that in representations of the five-ring Olympic symbol, the rings overlap in eight places. However, which ring is on top of which at each junction varies in different depictions. Since there are two possibilities for which one is on top at each of eight locations, there are 2 to the 8th power, or 256, possible ways to depict the symbol. An athlete in a high-jump competition faces the following rules (which are not the official Olympic rules). For any attempt, she may set the bar at any height that is a whole number of centimeters. She has made a jump of 190 centimeters, and isn’t sure whether she can jump any higher. (We will assume for simplicity that there is a maximum height she will always clear and that she will always miss when the bar is one centimeter higher.) She has five jumps remaining, but as soon as she misses two, she is out of the competition. She has set her personal goal at a certain height and notices that if she chooses her attempts carefully, she will be guaranteed to jump her greatest possible height up to or including that goal. On the other hand, if she set the goal just one centimeter higher, there wouldn’t be any sequence of jumps that would guarantee that she clears her best height up to that higher goal. What is the athlete’s personal goal? Three-Pan Alley. There are seven possible outcomes from one weighing, namely all equal weights, pan 1 heavy, pan 2 heavy, pan 3 heavy, pan 1 light, pan 2 light, or pan 3 light. So it might seem as though there are 49 possible outcomes for two weighings. However, the counterfeit coin (if there is one) is either light or heavy. So if the first weighing resulted in one pan being light, no pan can be heavy in the second weighing, and vice versa. So out of those 49 outcomes, the nine that start with a light pan and finish with a heavy pan and the nine that start with a heavy pan and finish with a light pan cannot occur. Therefore there are only 31 possible outcomes, which at most can distinguish for 15 coins whether any one is light or heavy, or they are all genuine — 31 possible states. On the other hand, it is possible to find the counterfeit among 15 coins: choose three arbitrary sets of four out of 15 given coins, and weigh those sets against each other. If they all perfectly balance, they are genuine and there are three coins left. We can then put one into each pan, and the scale will tell us if there is an odd coin out and whether it is light or heavy or whether all three coins weigh the same and hence are genuine. If on the first weighing one of the groups was lighter or heavier, we now have four coins, one of which we know to be counterfeit, and we know whether the counterfeit is lighter or heavier. So put one of the four coins in each of the three pans, with one left over. If one of the pans is unbalanced, it shows the counterfeit; if the three pans balance, the left over one is counterfeit, and we already know whether it is lighter or heavier. Adding back in the known good coin (which plays no role with a three pan balance), Harper can handle a set of 16 coins in two weighings of a three-pan balance, as compared to the 13 coins that three weighings of a two-pan balance allowed in The Old Coin Game. Urn More Respect. First, let’s suppose that you are drawing from the urn that originally contained just one red ball. What is the probability that you draw two red balls in a row? Well, there is a 1/3 chance the first ball you draw is red. Then there are two blue balls left in the urn, but one of them exchanges with a ball from the other urn, which contains two reds and one blue. So there is a 2/3 chance that the blue is exchanged for a red, and if so, there is a 1/2 chance that the red one is drawn. So overall, the chance of drawing two reds is 1/3 × 2/3 × 1/2 = 1/9. On the other hand, if you are drawing from the urn that originally contained two red balls, then there is a 2/3 chance that the first ball you draw is red. Then there is a red and a blue ball left, but one of them exchanges with a ball from the other urn, which contains one red and two blues. There is a 1/2 chance that it is the red ball that exchanges, and then a 2/3 chance that a blue ball comes back, leaving a 0 chance of drawing a red the second time. The other 1/3 of the time, a red ball comes back, and then there is a 1/2 chance of drawing a red the second time. Conversely, there is a 1/2 chance that it is the blue ball that exchanges, and then a 2/3 chance that a blue ball comes back, leaving a 1/2 chance of drawing a red the second time. The other 1/3 of the time a red ball comes back, which would then make it certain that the second draw would be red. 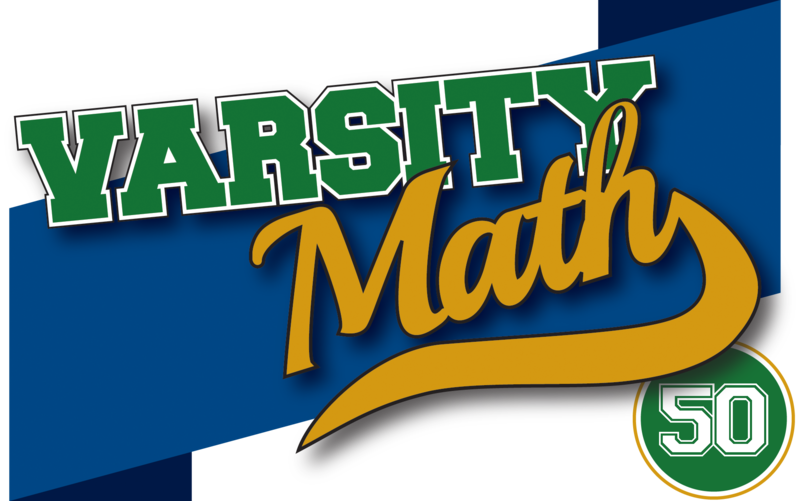 Putting all of that together, there is a 2/3 × (1/2 × 2/3 × 0 + 1/2 × 1/3 × 1/2 + 1/2 × 2/3 × 1/2 + 1/2 × 1/3 × 1) = 2/3 × (1/12 + 1/6 + 1/6) = 5/18 chance of drawing two reds in a row. Since there is a 1/9 = 2/18 chance of drawing two red in a row if you were drawing from the urn with one red initially, and a 5/18 chance of drawing two red if you were drawing from the urn with two reds, that means that the chance that you were drawing from the urn with two reds if you do draw two reds in a row is (5/18) / (5/18 + 2/18) = 5 / (5+2) = 5/7.